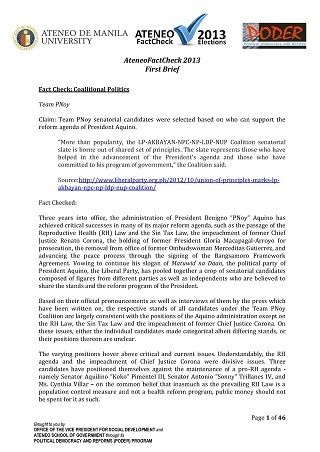 FactCheck 2016, as in the previous elections, probed candidate’s position, platform and track record on key issues and agenda identified through consultations with organizations at the local and national levels. 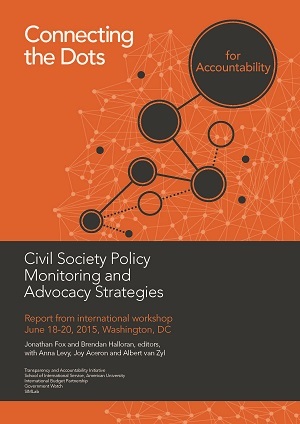 In June 2015, a North-South convergence of four organizations hosted a workshop entitled “scaling accountability.” In contrast to the conventional idea of “scaling” as involving the replication of local pilots, our use of the term was intended to convey the idea of going beyond bounded projects to address systemic accountability problems. 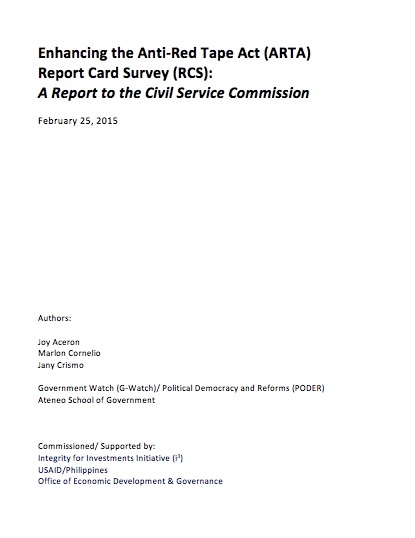 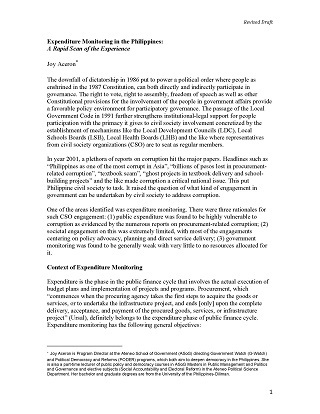 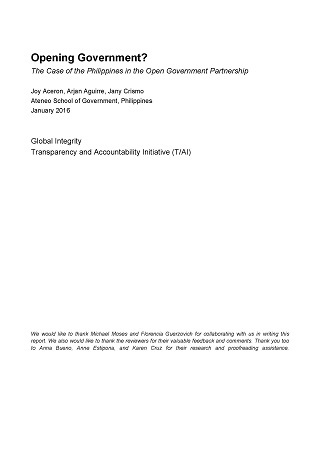 A book chapter that discusses one of the challenges to Philippine democracy – poorly regulated campaign finance – highlighting the importance of making elections inclusive and democratic by making them competitive and fair. 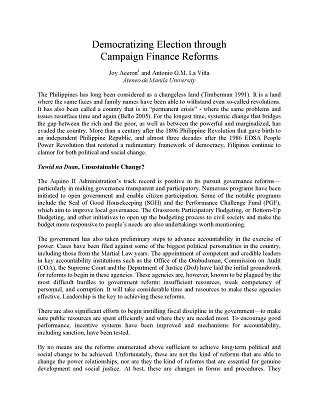 FactCheck 2013 aims to produce materials that will convince the reform constituencies to engage electoral reform advocacies and the elections to advance and sustain the gains of reforms. 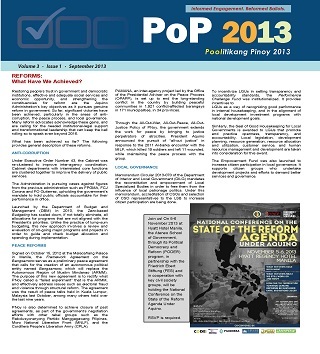 PoP 2013 is a data pooling initiative of the Ateneo School of Government (ASoG) that aims to arm the citizens with facts and data on candidates for and selected critical issues relevant to the 2013 elections, thereby, facilitating and empowering their engagement as political actors during elections. 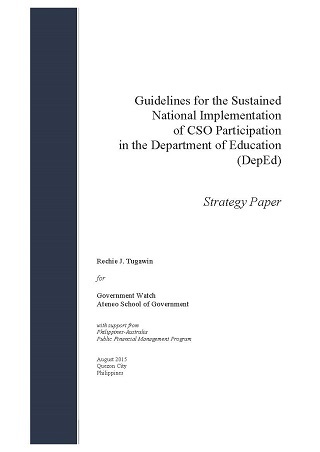 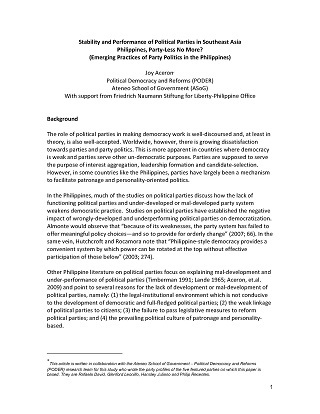 The study conducted by the Philippine research team aims to baseline the organizational performance and stability of selected political parties in the Philippines. 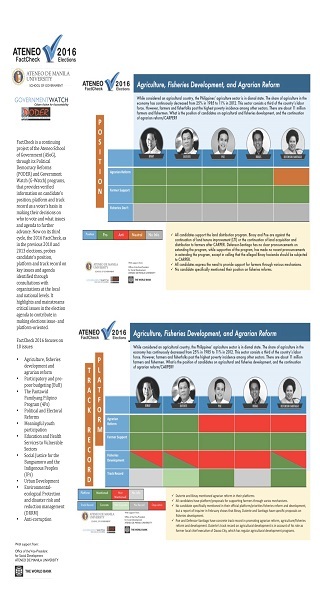 From the parties’ profiles, we extracted some comparative points that will allow elucidation on the overall picture of party performance and stability in the Philippines.